Mid-Western University, Examination Management Office published the result of BSC sixth semester today. See the detail result here. 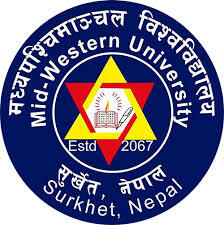 Mid-Western University, Examination Management Office published the result of M.Ed third semester, BEd third and sixth semester today. See the detail result here. Vacancy from the MWU Service Commission . © 2018 Mid-Western University | All Rights Reserved.